Entertainment channel Watch could be facing another re-brand to make it appeal to a female audience, according to reports. 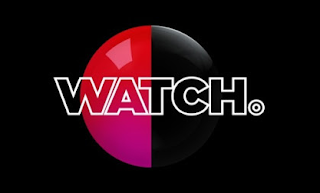 The UKTV owned channel, which is distributed on pay TV platforms first launched in 2008 with a short-lived prime-time Richard and Judy show, but re-branded in 2010 after which it became known for US dramas alongside Dynamo: Magician Impossible. The channel's on-air appearance was last amended in 2012. Broadcast reports that it believes "UKTV is in talks with external partners over the move, which could include a name change for the channel that launched in October 2008." According to the report, the channel wants to rely less on US imports. Wedding and home shows could become more dominant on the channel. Sister channel Really was originally re-branded to focus on a female audience, while UKTV's Dave leads the pack with regards male-skewing channels. It will appeal to an even wider audience if it was to appear on Freesat!